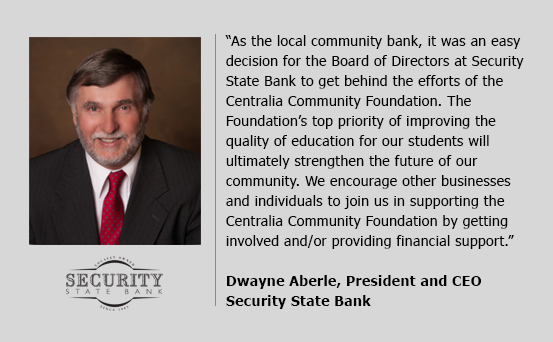 In June 2016, our founding Board members concluded that based on research, Centralia’s underfunded public schools were an absolute priority. Research showed there is a steep decline in poverty rates as educational levels increase. Education matters to business and industry leaders who want an educated workforce created through K-12 STEM education and adult workforce training programs. 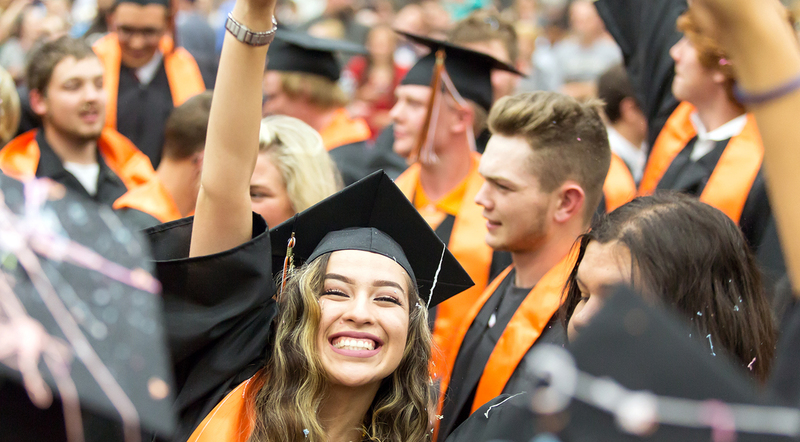 The Centralia Community Foundation is committed to achieving success in enhancing education and improving college readiness and career opportunities for our kids through our Schools of Excellence Initiative. Education must be the priority. Future job opportunities in Washington State will require a college degree or specialized training and certifications. Last year, the TransAlta Economic & Community Development Board awarded Centralia Community Foundation a $2 million grant for funding our Schools of Excellence Initiative. This effort addresses two key issues: academic success and technology training education. For our children to have meaningful employment opportunities, it is necessary for us to invest in their preparation for post-secondary education and/or career training. The TransAlta grant was awarded based on the Foundation raising the additional $400,000 required to complete the multi-year scope of work outlined in our grant proposal. We are actively fundraising to secure those additional funds. 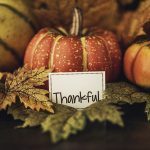 Along with the TransAlta support, we have been successful at receiving financial support from several local businesses such as Title Guaranty Company, Security State Bank, Tin Men Supply and The Chronicle. We are grateful for their trust and support. Our work on the Schools of Excellence Initiative began by partnering with the Centralia School Board, the Centralia School District, and funding the BERC Group (Baker-Education-Research-Consulting) to conduct initial assessments and establish milestones and metrics. BERC Group has conducted extensive research for the Gates Foundation and has conducted evaluations of effective teaching in more than 40,000 classrooms across the country. 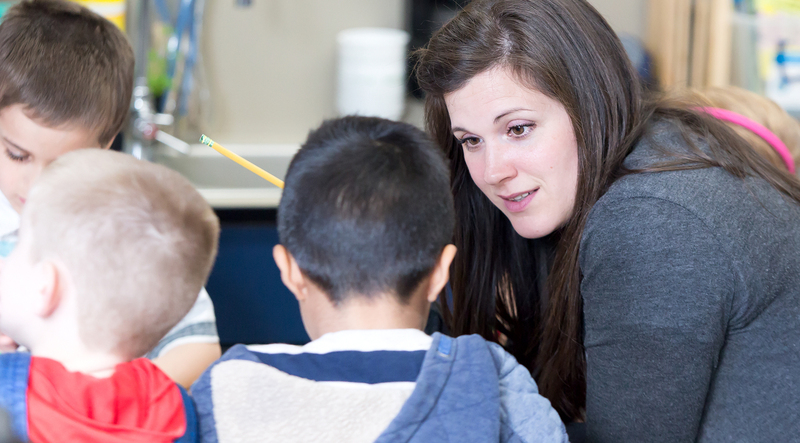 They have now completed their district-wide, every school, every classroom, review on training and later this summer their first assessment and recommendations will offer a pathway for student success for Centralia Schools. Centralia’s future depends on its people. The Foundation needs more community benefactors to join us and participate as Sponsor Partners. Quality education will benefit the whole community and highly ranked schools will attract people and will help businesses. We are conducting outreach to ask for support from you and all individuals in the community. It is going to take all of us to make a real difference. We ask you to please give what you can. A recurring monthly donation of $100, $50 or $25, will be very helpful, or you can give a one-time donation. Please go to our Donate page and learn more. Our work for “Schools of Excellence” won’t stop with recent grants and gifts for education funding. 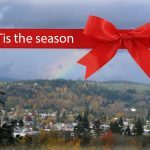 The Centralia Community Foundation is committed to creating a better future for all living in Centralia. Through philanthropic investment, we are working together for a better future. For more information contact Daniel Rich, Board President at 360-269-3750.